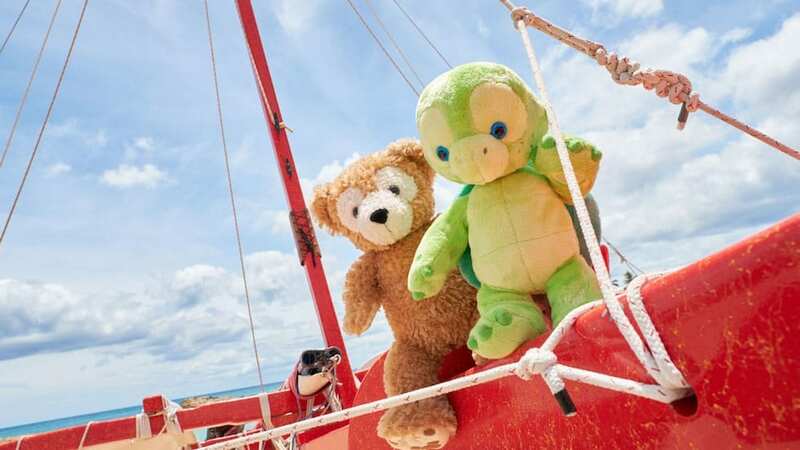 As Mickey Mouse and his pal Duffy were sailing the islands for a perfect birthday present for ShellieMay, they heard the sounds of a ‘ukulele calling them over to a cove where a kindhearted turtle named ‘Olu played happy tunes. “That will be the perfect present for ShellieMay!” said Duffy. Off to her birthday party they went, singing their special song of friendship and love. 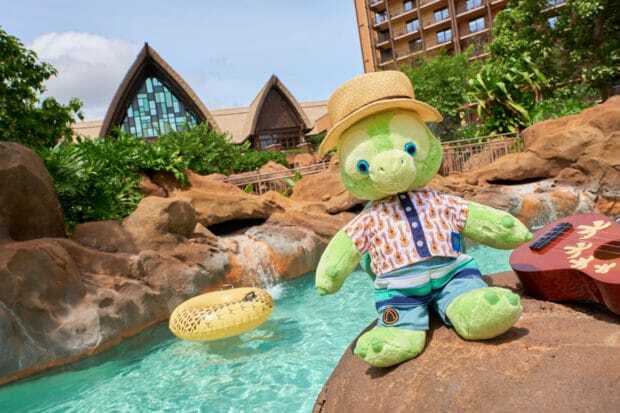 ‘Olu, along with an exclusive new line of merchandise, will debut at Aulani on July 27. To learn more about Aulani, visit DisneyAulani.com. I am trying to have Olu sent to me to no avail. My grandddaughter is an avid collector of Duffy Bear merchandise and his friends. Ironically, her last name is Duffy which makes even more special. Is there anyway you can send me one to give it to her? It would be a wonderful surprise. Thank you.